Last week the “Phat Brahms” remix pack dropped, featuring 8 new versions of Dim Mak’s collaborative effort on a classical edit. Well, Cold Blank’s remix came out on top and currently sits at number 6 on the Beatport 100 electro house chart. 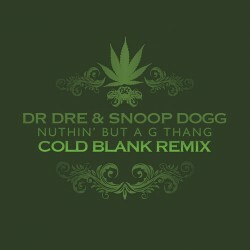 To celebrate their success and show some fan appreciation, the heavy-hitting electro house duo from Los Angeles have decided to release a free download – their take on “Nuthin’ But A G Thang.” It's a fast paced remix that keeps up with the rappers’ twisted lyrics, where Dr. Dre and Snoop Dogg’s vocals almost hit as hard as the bass. Follow Cold Blank through their radio show and record label, both known as Burn the Fire, for more quality content sure to come. Chrizz Luvly – "The One"